Android has evolved from its humble beginnings to become a major player in the world of Phones and Tablets (lets not forget Cameras too). It’s risen over the last few years to become the most widely used operating system and a real contender for Apples IOS crown. Ice Cream Sandwich was a major step forward in functionality and design. But can its successor Jelly Bean 4.1 continue the innovations of ICS 4.0? Read on and see. Ambitious words from Mathias Duarte the “Director of Android operating system User Experience”. When Google began with Jelly Bean one of their stated goals was to trim lag out of the operating system. The project was termed “Project Butter” and it must be said that Jelly Bean feels a lot smoother and faster than ICS. When loading web pages they appeared much faster and smoothly than on ICS and it must also be noted that Apps too are quicker and smoother to open than before. Project Butter has also been applied to simple things such as scrolling through the Apps screen and even across the home screen. All in all it really does seem like a success. Jelly Bean feels super responsive and is great to use. The only downside that seems slightly related to lag is a small annoyance I’ve found when receiving calls. I’ve noticed that if I end a call and immediately lock my phone when I turn it on again the “call ended” screen appears on the screen. This sometimes briefly tricks me into thinking I’ve had a missed call or that I’ve called someone whilst the phone has been in my pocket. It’s only a slight annoyance and doesn’t happen often, but I thought it best to highlight it in case other people have had the same issue. Other than that in my time with Jelly Bean, I can confirm that lag has been at a bare minimum. There have been some small changes that are welcome editions to the OS that should be mentioned. First of these is a great change to Face Unlock. Jelly Bean introduces a feature called “Liveness Check” to its Face Unlock Software. Previously Face Unlock could be exploited by anyone having a picture of you and holding it up to the screen to unlock the phone. Jelly Bean has an option to turn on Liveness Check, which relies on you blinking when using your face to unlock the phone. It’s a nice feature that adds a little extra security to your phone. There is also a nice change to the camera. When in camera mode and taking pictures it’s now even easier to access pictures that you’ve just taken by swiping to the left on the screen. It’s actually a feature I really enjoy being someone who takes a lot of pictures. Google has made some adjustments to its keyboard within Jelly Bean that are useful. The Keyboard can now predict what you’re going to type. It’s a nice feature for some but it must be said that I actually rarely used it personally. Whilst I think Google has come a long way with it’s keyboard over the last few years I still find myself actually preferring Apples IOS keyboard which I find to be a little bit more intuitive. Notifications have had a small make over and I like what I see. Gone are the bold font and blue highlights of ICS to be replaced with a subtler font. Overall Notifications has always been an incredibly strong feature for Android, but it now feels like it’s getting some more spit and polish that refine it without going over the top. The best new feature to notifications is the ability to expand some of them. I found this most useful with my GMail app. The ability to expand a mail notification and read the subject and contents whilst still in my notification screen is a really great touch, meaning I no longer have to open up GMail to check my mail. The only detraction with this is that it’s not widely available yet for third party apps. This is the big showpiece. Google Now is an Ambitious project. People have compared Google Now to the Apple Siri service. There are similarities, but where as Siri to me has always felt more like a personal assistant (and usually one that feels a little gimmicky) Google Now feels like it’s trying to be more. How it works is that Google Now “Learns” from your Google search the things you like and updates them for you on “Cards” that appear within your Notifications. It also has similar PA like abilities, which are more in line with Siri. Google Now can also learn your commute to work and update you on travel information for the journey before you head out. If this all sounds a bit…well…Skynet, then I can alleviate your fears. I actually found Google Now to be unobtrusive and for the most part a nice feature (though very much in it’s infancy). It did learn my route to work, though I walk to work so the information it gave me was slightly pointless. Google Now can also learn which sports teams you support and update you on them. I actually found this to be a bit disappointing. Google Now just didn’t learn which team I supported even after spending an awful lot of time repeating Manchester Utd (no hate mail please) in to my search bar over multiple days and weeks. In the end I just had to tell it which team I supported in the settings. There also does not appear to be an option to change the priority of the sports updates. Which stayed permanently fixed at “Low Priority” which to me, football is not. Overall Google should receive plaudits for Google Now. It is an incredibly ambitious project and I can see in the future it becoming much more reliable and useful. It’s just that right now, it’s still very much in it’s infancy. Jelly Bean 4.1 is the best Android operating system so far and really gives IOS a run for it’s money. It takes what was great about ICS, polishes it and refines it, whilst adding some great new features. I would certainly recommend updating to it if you can. But that’s the crux of it isn’t it?…If you can. Nexus owners will be the only ones at the time of writing that will be able to update. 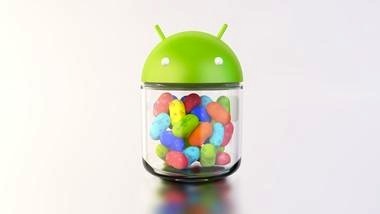 Samsung is releasing its version of Jelly Bean soon and HTC’s version is also on the horizon. But both these versions will not be the pure form of android that nexus owners will enjoy. For me, this is androids biggest drawback, to the point where at times I found this feature review hard to write. I knew that many would not have the same experience I’ve had whilst they still have a version of Jelly Bean. In the end I had to settle in my mind that I was writing this for a small portion of android users. Is it time to do away with OEM skins like Samsungs Touch Wiz and HTC’s Sense versions of Android? In some respects yes, but in other ways no. They do offer some innovations, Samsungs Smart Stay and HTC’s ImageSense being examples. But this is another argument for another time. The question is. Should you update to Jelly Bean? the answer is yes. If you can’t update, too bad, you’re missing out on a great product folks. Android like Linux as both as software and community has really proved that the more we collaborate, the more we can achieve better tools, equipment and community - Better life. We should collaborate often.